Baby teeth are important. Even though they will eventually fall out, baby teeth are needed to hold spaces for the permanent teeth that will replace them and to help your child chew and speak properly. It is important for parents to begin to care for their baby's oral health even before the first baby teeth emerge. Before your baby gets any teeth, you should clean his or her gums at least twice a day, but especially after feedings and before bedtime. Use a soft, moistened washcloth or piece of gauze to wipe your baby's gums. This will remove bacteria that could stick to the gums and prevent them from damaging baby teeth when they come in. When your baby's first tooth emerges, it is time to begin brushing with a toothbrush. Use a soft brush with a small head and a large handle. Wet the toothbrush and use an amount of non-fluoride toothpaste the size of a grain of rice. When your child reaches the age of 3, you can use a pea-sized amount of fluoride toothpaste. Gently brush all around your child's front and back teeth. The process of teething can take up to two years before your child gets all of his or her baby teeth. During that time, your baby may cry and drool and have swollen gums. You can help relieve the pain of teething by giving your baby a clean, cool teething ring or cold washcloth to chew on. Don't give your baby a teething ring with liquid inside or anything small enough to choke on. Rubbing your baby's gums with a clean finger can also reduce discomfort. Do not rub topical pain reliever on your baby's gums because of the risk of potentially serious side effects. Ask your pediatrician if it is safe to give your baby Tylenol, but do not give your child aspirin because of the risk of a serious condition called Reye's syndrome. If your baby is extremely irritable or inconsolable, call your pediatrician. You can protect your child's baby teeth from cavities by only giving him or her formula, breast milk, or water to drink. Don't give your child fruit juice, soda, or other sugary drinks because they can lead to baby bottle tooth decay. If you have to give your baby a bottle or sippy cup at bedtime or naptime, only fill it with water. Never put anything sweet, such as sugar or honey, on your baby's pacifier. 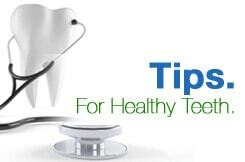 Monitor your child's teeth for signs of decay, such as brown or white spots or pits. If you or your pediatrician notices any signs of decay, take your child to a pediatric dentist. Even if there are no signs of problems, all children should see a dentist by the age of 1. The dentist will examine your child's teeth and talk about oral hygiene, teething, fluoride, and thumb sucking. Brush your child's teeth until he or she is coordinated and diligent enough to do a good job. Kids generally need help brushing their teeth at least until the age of 7, but you should continue to supervise after that.